After my first trip to Costa Rica, I remember thinking to myself, this is one of those destinations I could return to over and over again because it’s just so easy to travel to — and also through. 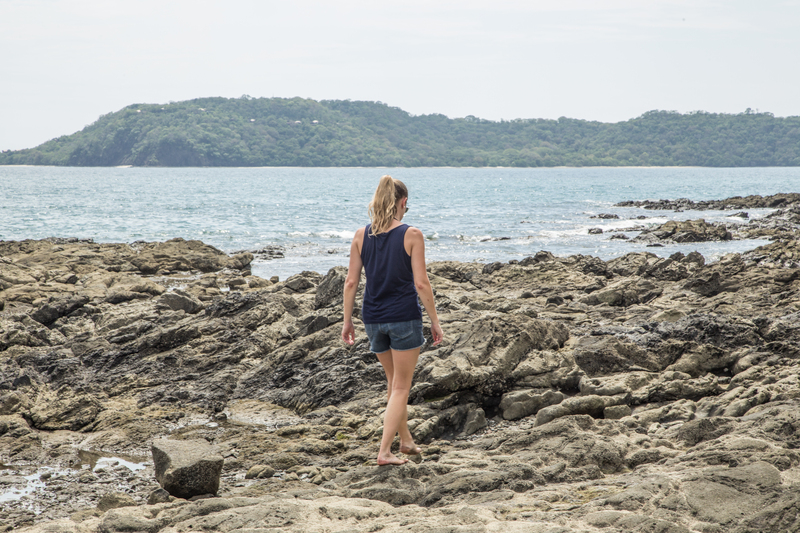 Signs are clearly marked, the wild landscapes excite your eyes with vibrant shades of green, there’s an abundance of wildlife, adventures abound, and from what I uncovered, the locals breathe and live the Pura Vida — the pure life. That 10 day road trip that took me through San Jose, Arenal, Manuel Antonio, and Monteverde – where I spotted my very first night rainbow. Yep. That exists. 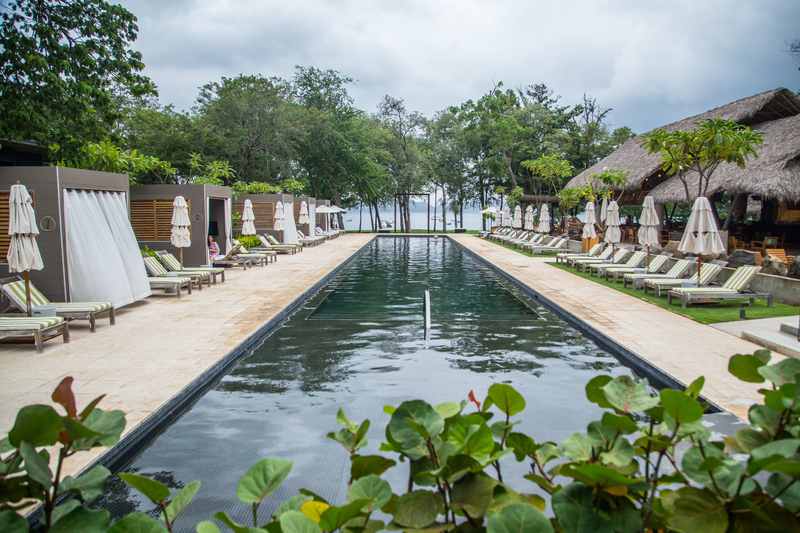 A bend into the wild and nature’s serene beauty that marks Costa Rica, my second recent trip to Guanacaste with El Mangrove, a luxury boutique resort in the Gulf of Papagayo and one of the newest additions to the Autograph Collection, was a bohemian-chic escape with touches of adventure. I was able to share this adventure with a girlfriend of mine from St. Louis, making the experience much sweeter. You can see everything I loved through this film and read about all of it below. 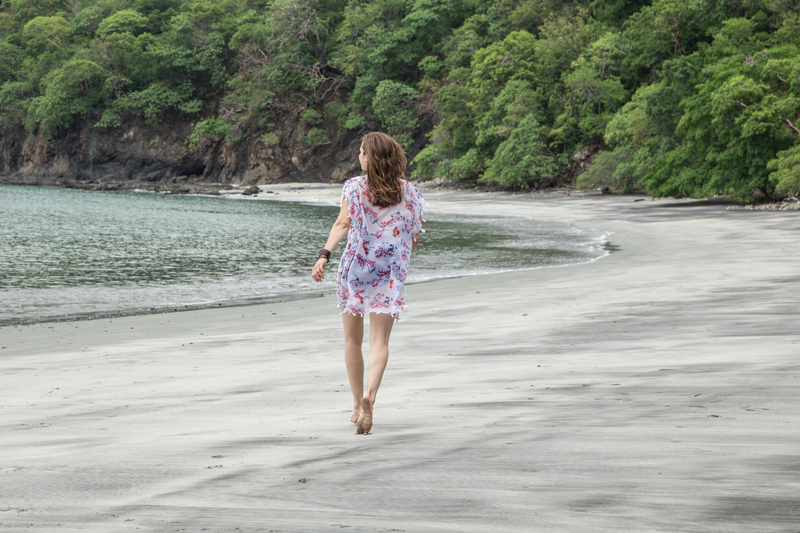 Guanacaste’s nature and serenity is infused in every little detail throughout the El Mangroove, providing a seamless transition to it’s surroundings. 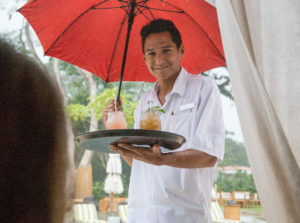 Rainy season proves a perfect break with afternoon showers after spending mornings exploring the many natural wonders. 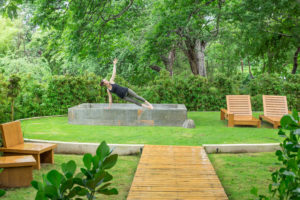 El Mangroove is a place you’d want to go to with a group, a girlfriend, or as an energetic romantic getaway. With the amount of energy pumping through Matiss where the menu is full of sustainable snacks, fish, and comfort food, it’s a great place to share company. Local resident-DJ’s entertain you over afternoon cocktails or long lunches — the Grilled Skirt Steak Tacos and Octopus Ceviche were my favorites. If you’re looking for a little more privacy, rent a Cabana, lounge poolside, and order in. 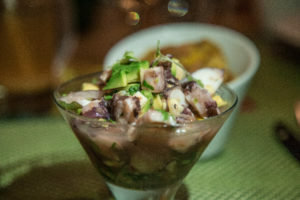 Makoko dining is a more upscale experience. We dined indoors our third night with a pre-fixed three course menu. The Costa Rican raised Worcester Glazed Short Rib with apple-jalapeno puree and rosemary breadcrumbs is one dish I would travel back in time to taste again. All of the produce isn’t just organic, but actually comes from small local farms as well. Other items like farm fresh eggs, the butter, and sea salt are harvested right in their own backyard. The hotel also offers a full room service menu 24 hours a day which we took full advantage of tasting and ordering treats throughout. If beaches are your thing, hop on a private boat and explore ten secluded sandy shores. Just bring yourself and your sunscreen and they’ll take care of the rest. 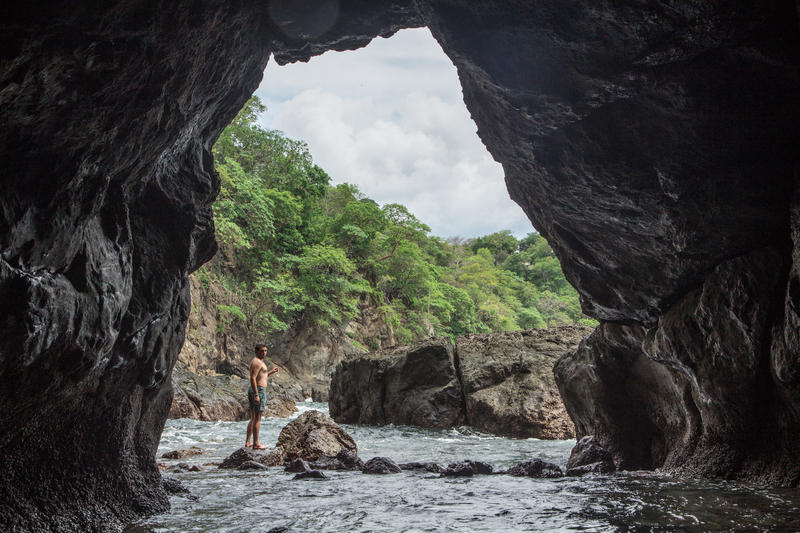 Snorkeling with the fluorescent fish, stop off for lunch packed by the hotel, and the explore caves of Guanacaste are just a few highlights. 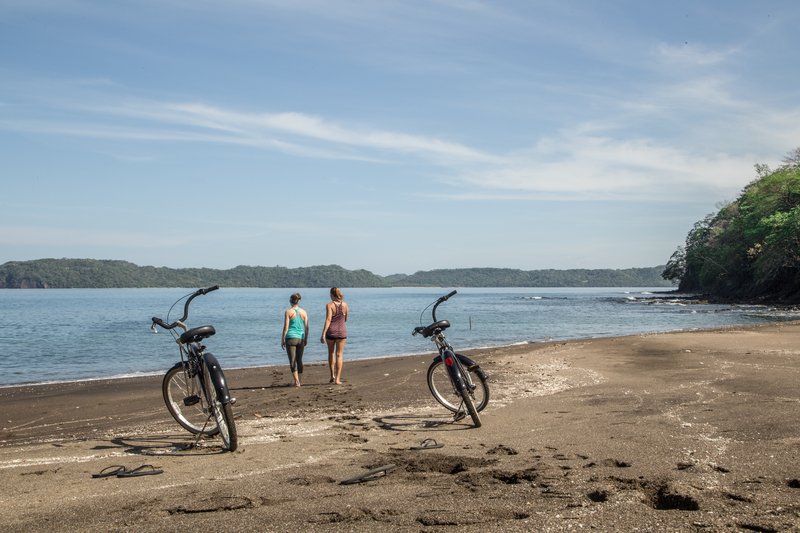 There are plenty environmentally conscious ways to explore — taking a long walks through the mangrove tree path, walking the beach down to the rock pools at low tide, cruising along the bay by bicycle, swimming, kayaking, or stand up paddleboarding. At night, take a SUP board out that lights up and see the fish swimming right underneath you. If you’re a thrill seeker, head off site for zip lining with Hacienda Guachipelín. Every time I get pushed off the platform, I feel like a kid again. It never gets old. Some tours, like ours, include rappelling and climbing making for a ‘what’s around the corner’ feeling as we made our way through the course. Those looking to slow down will find a home away from home spending time in the Berth Spa. 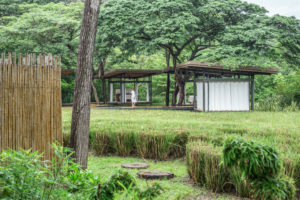 They offer a multitude of treatments, but what makes this space so special is their outdoor treatment oasis. Slide your feet into slippers and walk down the wooden path to escape for an hour or more in one of their airy cabanas set way back. You’ll pick up pleasant and unfamiliar sounds like birds chirping, howler monkeys in the trees atop, and crabs rustling beneath you. Cool off with a pre-sauna and post-pool dip in the garden area out back with two outdoor stone showers. If you want to get a little muddy and more local, you can head off to a local Hot Spring with some friends and paint each other before hopping in to relax and rinse off. I was hosted by El Mangroove during my three day stay, but as always, all opinions and thoughts expressed are purely my own.